Today Is The Last Day Of Candy Fair 2015! 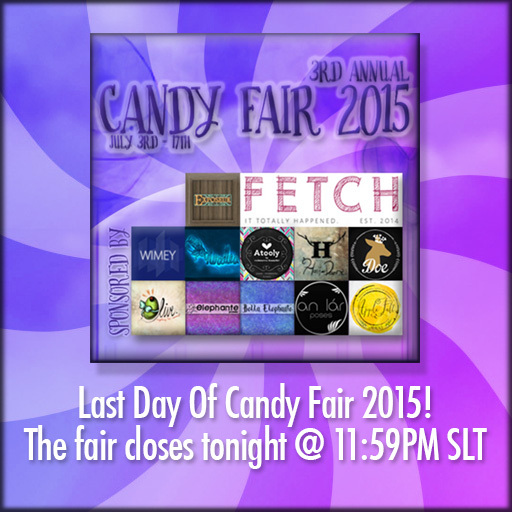 Today July 17th is the last day of Candy Fair 2015! We'll be closing at 11:59PM SLT. We want to give a big thanks to all our shoppers, designers, bloggers, builders & promoters for their hard work on making the 3rd Annual Candy Fair possible! We look forward to seeing you all again next year for Candy Fair 2016!